Are you ready to transform your body and change your life for the better? 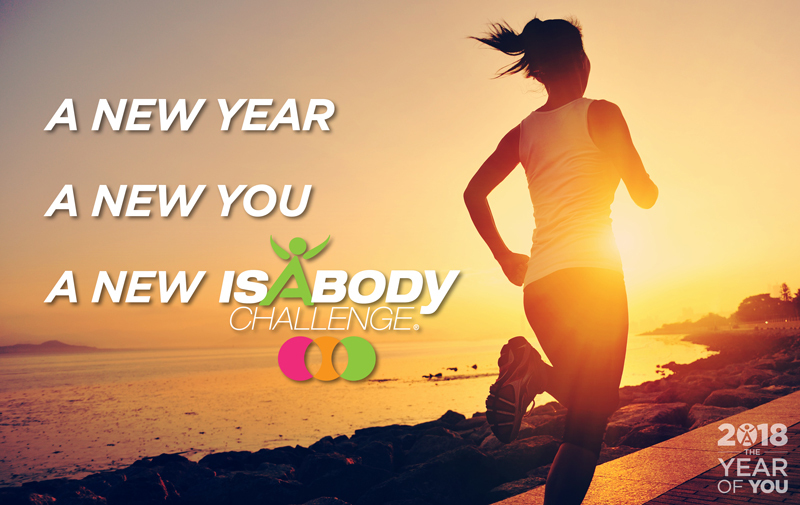 Make 2018 The Year of You and set yourself on the path to success with the IsaBody Challenge®! Whether you’re at the beginning of your health journey, rebooting after a break, or a seasoned health and wellness ambassador, the Challenge is perfect for every walk of life and we believe that no matter what your health goals are, the IsaBody Challenge can help motivate and inspire you to become the best version of yourself. It’s just the beginning of 2018 and we’ve had an incredible number of people sign up for the Challenge this year already but we believe that so many more of you out there are ready to take the next step in the right direction! If this is the START of your first ever IsaBody Challenge, remember the IsaBody Challenge Planner is available to support you every step of the way. Monitor your thoughts, meal plans and fitness goals and track your achievements by checking in with your IsaBody Challenge journey each day. Everyone who completes their Challenge and fulfills all requirements by the deadline is eligible for a Completion Prize and other awesome perks. Check them out here. Didn’t achieve the results you hoped for in your last Challenge? Well this is the perfect opportunity to register again and use the support available such as joining the IsaBody Challenge Facebook Group. You’ll be able to connect with others in the IsaBody Community so you can collaborate and stay motivated to COMPLETE your health and wellness journey. Or, maybe you’re onto your next of many challenges and nothing is holding you back from achieving new goals. If you are now at the REPEAT stage of your journey, then take a moment to congratulate yourself for progressing beyond your initial belief and showing everyone there is always room to improve your health, mind, body and life. IsaBody Challenge Top Tip: Follow the IsaBody Instagram @IsaBodyANZ and stay motivated by connecting with others and sharing your progression by using the hashtag #IsaBodyANZ. Need any questions answered? Email IsaBodyChallengeANZ@IsagenixCorp.com with your queries, please include your Member ID and any other necessary information to assist you.